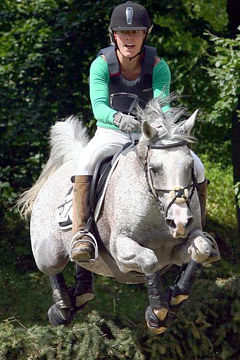 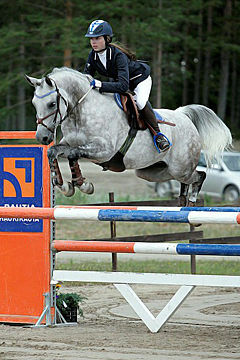 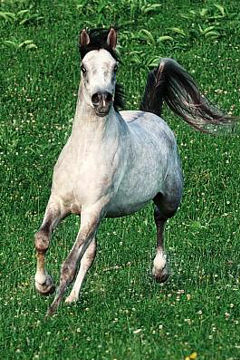 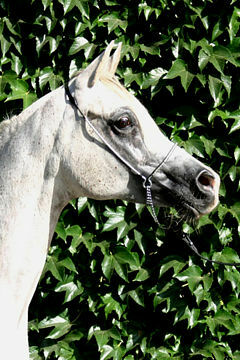 SHOWGUN PGN, Grey stallion, *1999 (Showkayce / PGN Solitaire). 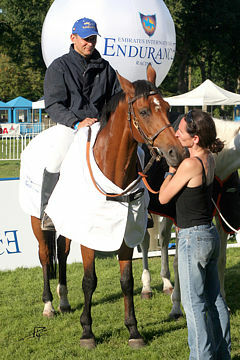 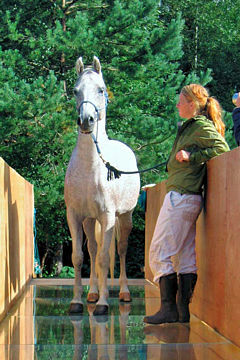 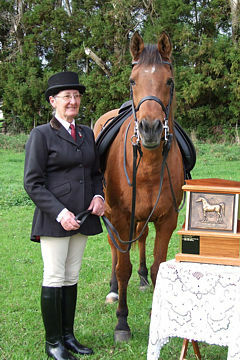 Breeder: Christine Krauch. 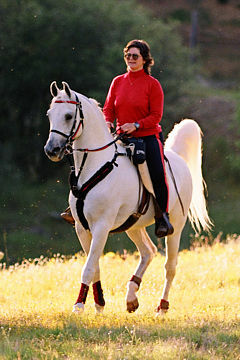 Owner: Carol Steppe. 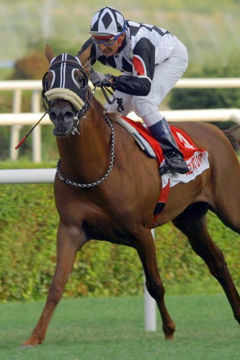 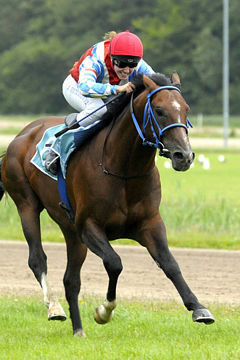 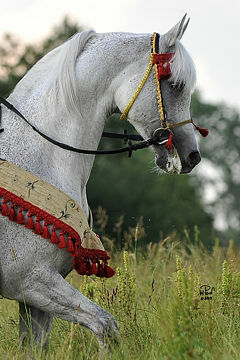 The Purebred Arabian Horse Registry (PAHR), the WAHO Registering Authority Member for USA in the year 2007, is very pleased to announce that their 2007 WAHO Trophy has been awarded to the athletic stallion, Showgun PGN. 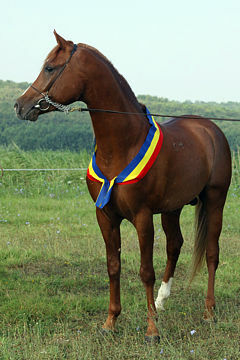 Showgun PGN is a remarkable and beautiful stallion who literally dominated the 2004 Sport Horse Nationals winning five National Championships in Working Hunter, Hunter Hack, Sport Horse Under Saddle Jr. 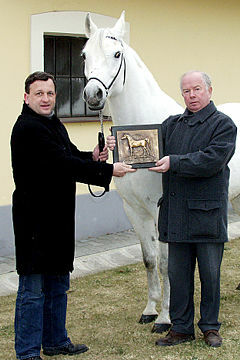 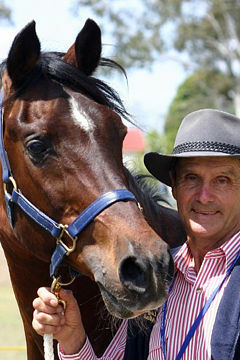 Horse, Stallions In Hand and Supreme In Hand titles. 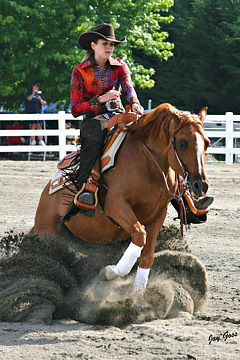 Shown and ridden by the talented Kristen Ferguson-Hardin, ShowGun PGN is also an ambassador for the breed as he continues to win on the open show circuit in the Pony Hunter division (jumping). 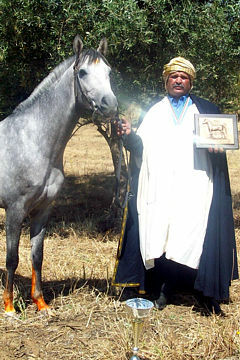 He has set a standard of excellence for the purebred Arabian under saddle, in hand and in working hunter classes that will be recognized in the record books for all time and he has accomplished all of this with a happy and merry heart. 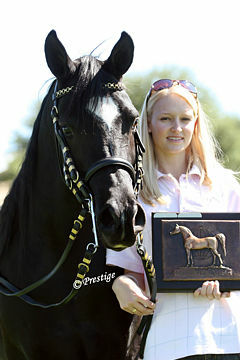 He is the perfect example of a horse that loves his job, his trainer, his owner, his people, his fame and his life. 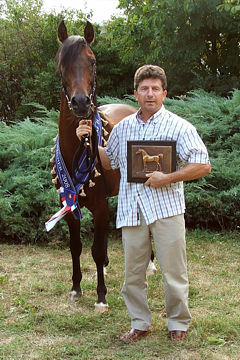 Showgun PGN’s show record is astounding, including the following major awards: U.S. National Champion Sport Horse In Hand Stallion; Supreme Champion In Hand (all purebred and half Arabian class winners) Sport Horse Nationals; 3 times U.S. National Champion Working Hunter; 3 times U.S. National Champion Hunter Hack; 2 times U.S. National Champion Under Saddle Jr. 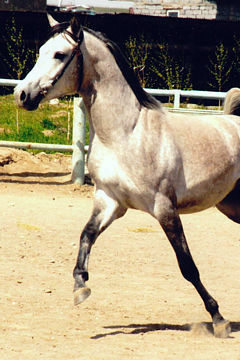 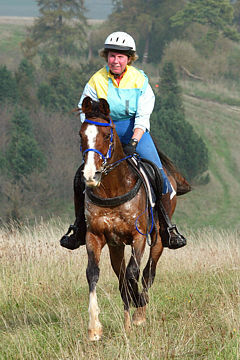 Horse; 2 times Hunter Classic Exhibition Sport Horse Nationals (purebred and half Arabian competitors). 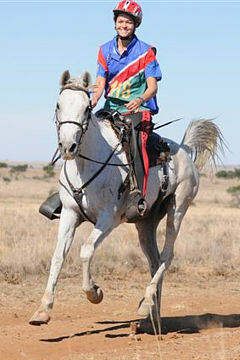 He has won a total of 11 National Championships and an additional three of the coveted special awards: Supreme Champion In Hand and the Hunter Classic. 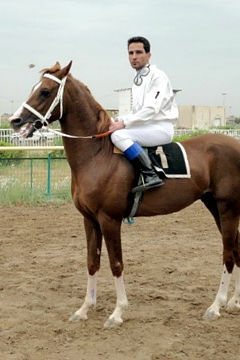 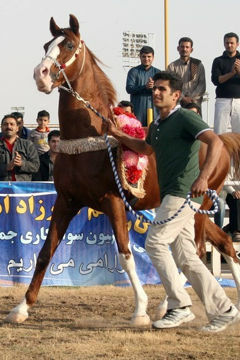 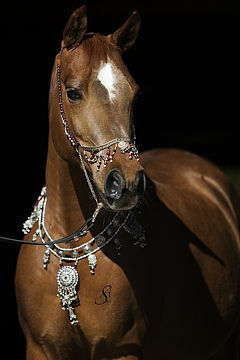 Arabian horses that display the athleticism, conformation, willingness, handiness and heart that Showgun PGN brings to each of his performances are this breed’s great ambassadors. 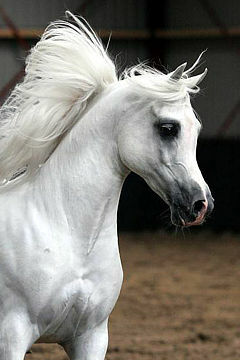 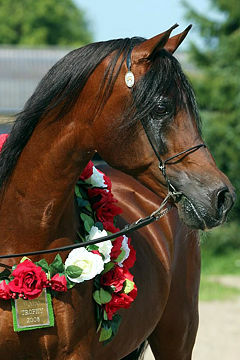 He is still a stallion because these are the magic ingredients of any great show horse – physical ability, trainability, joy and pride in what they do. 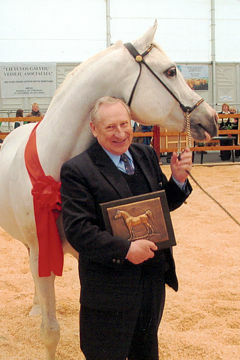 His gifts are available to future generations, as is evidenced in his National Champion son, Jump The Gun. 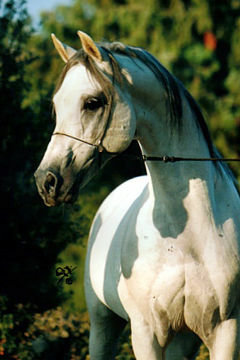 His foals are beautiful, charismatic and talented, his stamp is on them all. 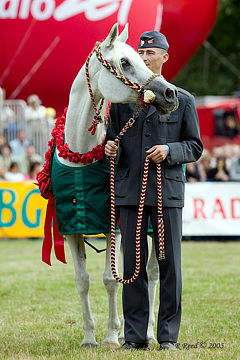 Showgun PGN is both kind and brilliant and he steals hearts wherever he goes.